When creating warp-faced pieces, which is what I generally do on my backstrap loom, not every kind of thread or yarn will do. The warp threads are sett very close together and the continual opening and changing of sheds has neighboring warps scraping against each other. Soft or fluffy thread will eventually fluff and pill or even shred. Hairy yarn will be sticky…the hairs on neighboring warp threads will cling to each other making the sheds difficult to open cleanly. The yarn may even break frequently. Handspun wool needs to be prepared in a certain way to be manageable in warp-faced weaving. Rough handling of the string heddles will cause even the most suitable yarn and thread to shred, pill or stick. This is why I tend to recommend mercerized cotton for those who are starting out in backstrap weaving. Be aware that a thread that seems difficult to manage for you when you are beginning may end up being your favorite as your skills improve. Everyone tends to wrench the heddles about in the beginning especially if you haven’t had the benefit of a face-to- face demonstration. The moves involved in opening the sheds in backstrap weaving take time to learn and master. The weaver uses a combination of moves which involve using the body to apply and relax tension on the loom in order to open the sheds smoothly and cleanly. As your ability to do this improves, you will find that you will have more options when it comes to choosing yarn. You won’t have to strictly stick to only the safest and friendliest thread that is mercerized or tightly twisted. You will gradually learn to adapt your technique to the kind of yarn or thread you are using and will discover that when weaving narrow bands, you can happily use some kinds of wool (paticualrly those that have higher twist) straight from the skein without having to respin it. But this takes time…be patient with yourself. In the meantime, if you are new to this, take some time to look for suitable thread. Don’t be tempted to just dive straight in with just any old thing from your stash. One or two skeins or balls of suitable cotton will give you many opportunities to warp, set up, practice operating the loom and watch your skills improve. Here are some of the mercerized cottons sold in the US and which have proved to be very suitable for making warp-faced pieces on my backstrap loom. Aunt Lydia thread by Coats is a size 10 crochet cotton. It wraps about 35 times to the inch which will give non US weavers a better idea of its size. I use this for bookmarks and keyfobs. It also comes in size #3. 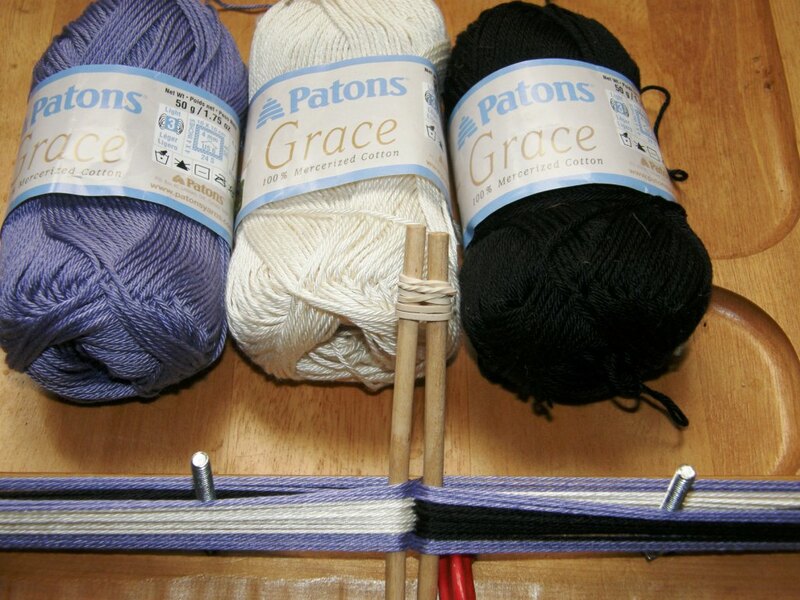 Patons Grace is a number 3 cotton which wraps 24 times to the inch. I use this for bags, placemats and table runners. This size teamed with double strands of embroidery floss is good for supplementary weft pieces. This thread has a lot of sheen. Coats Royale size 3 (24wpi) is similar to Patons Grace but with less sheen. Nazli Gelin Garden cotton thread (35wpi)…firm and smooth and comes in beautiful strong colors. I bought this from a yarn store in North Carolina but it is available online too. 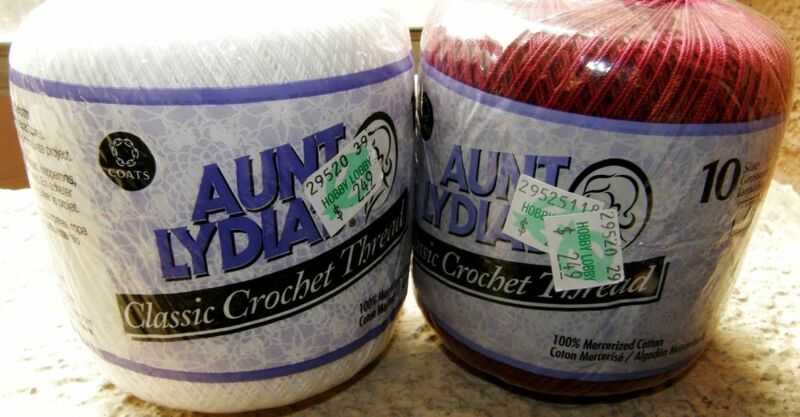 It also comes in a size that is similar to Aunt Lydia’s #3 crochet cotton. 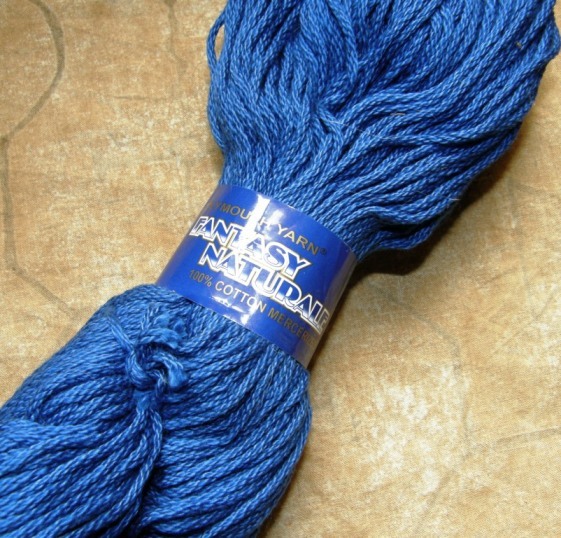 Plymouth Yarn Fantasy Naturale is a cabled mercerized cotton worsted weight (12wpi). This weight is great for making a backstrap or for getting the hang of a new technique. I bought it at The Mannings. It is the same weight as Peaches and Creme and Sugar and Cream but I don’t recommend using these cottons that have been designed for making dish cloths as they are too soft for warp faced weaving. 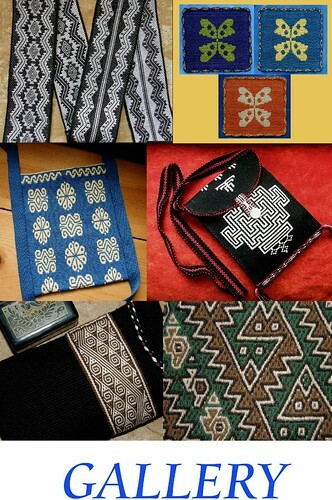 Keep an eye out for Webs 50% off Tahki Cotton Classic grab bags that they offer now and then! This is a beautiful cabled cotton yarn. Omega Sinfonia is a current favorite of mine. It is sport weight mercerized, very smooth, super easy to work with…also priced well! It is a little heavier than #3 crochet cotton and is cabled (6 ply). Creative Yarn Source has a good range of colors….89 of them! You can usually find three or four colors in Hobby Lobby. I have used UKI perle cotton in various sizes….huge range of colors. Some places such as the Mannings, sell mini cones. It is softer than the crochet cottons and will fluff up if handled roughly. Therefore, this might not be a good choice for a first attempt but I recommend using it later when you have the hang of things or use ot for small projects like keyfobs. FOR THOSE OF YOU IN THE UK…. I have a link to the Hand Weavers Studio site which has information about 22wpi (similar to number 3 US crochet cotton) and 32wpi (similar to number 10 US crochet cotton) cotton threads. I am told that they are pricey but they sell thread in convenient small quantities. This link was provided by Toby in the Weavolution backstrap group. Barry in the Ravelry backstrap group gave me the link to Purplelinda Crafts which has a great range. I can’t guarantee that these are mercerized…best to check with them. 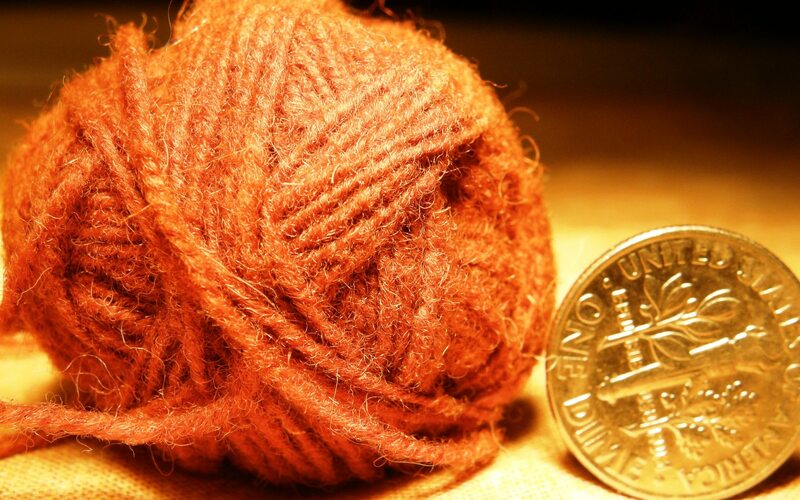 A friend gave me a ball of Patons 4ply mercerized cotton when I was in the UK. 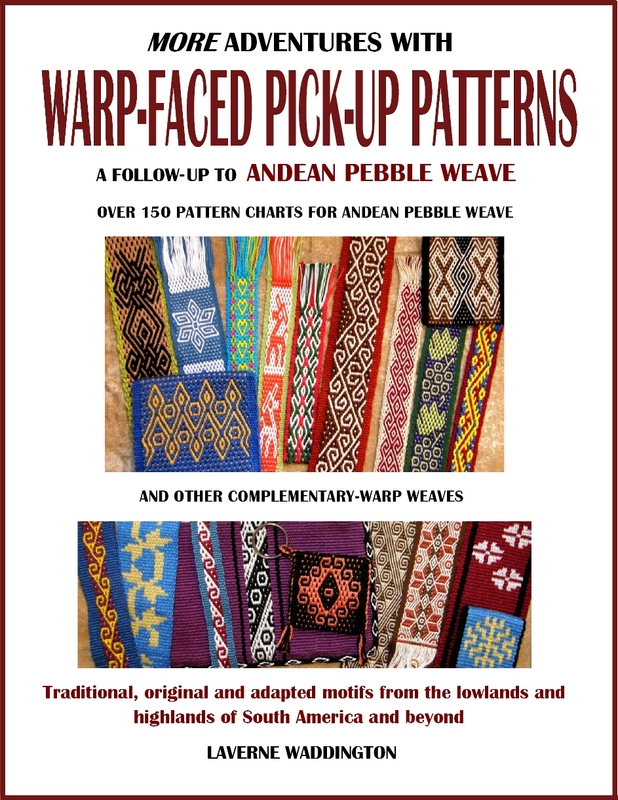 It works beautifully in warp-faced weaving. We stock over 1500 repeatable yarns, many used for braid and tassel making. Plain and mercerised cottons, linens, cotton/linens, wools, viscose rayons, chenilles and fancy yarns in a large range of fast dyed colours. Send for details of our shade cards collections. Call us on 0161 437 3295. I’ve been searching for chunkier yarns to weave with. Most of the smooth/mercerized yarns I’ve found are very fine, which is great for detail on bands, but I’m trying to experiment with a range of yarns at the moment, to see which ones I enjoy working with the most. Just thought I’d share this with my fellow backstrap weavers, the Patons Smoothie DK yarn is great for use on a backstrap loom! The range of colours seems excellent and its smoothness means it doesn’t stick. The finished product feels a lot like the thicker mercerized cottons, despite being 100% acrylic. Knitting wool can be used for backstrap weaving but must be respun first so that it is strong and smooth enough to stand up to the abrasion of the heddles and will resist pilling as the yarns rub against each other. The yarn should be spun firmly enough so that it kinks back on itself as seen in the picture below. I usually repsin the yarn and wind it into a tight ball leaving it for a few weeks before winding my warp. EDIT to add…lately I have been having more and more success using wool straight off the skein. I have been surprised at the results from wool that at first looked totally unsuitable. I won’t respin wool anymore. I don’t like the kinkiness and am getting braver about just jumping in and trying it out as it comes off the skein. Again, I stress…good shed opening skills are essential! I look for wool that has a high amount of twist. If you spin your own yarn, the same info about overtwist generally applies (although my friend Janet combs wool top and spins worsted without overtwist, plies and uses the yarn on her backstrap loom with beautiful results). I am not very knowledgeable about spinning wool and all the terminology that goes with it. I spin it, I ply it, I weave with it on my backstrap loom and it works. Maybe I have just been lucky so far. That’s about all I can tell you! I always ply the yarn as that is what the weavers here do and have never tried to use singles. Below is a piece I made from my handspun llama fiber. I must post some pictures of my friend Janet’s handspun soon. Coming soon….I have just finished a trip to Australia and plan to post some info on suitable thread that I found there. I have some friends going to Cuzco next week, I’m hoping they can pick up some overspun wool singles that the weavers use there. 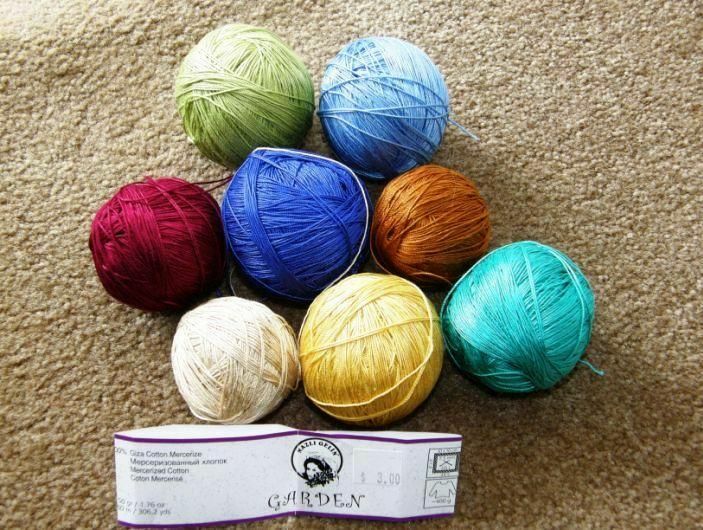 Do you know what this type of yarn is called in Spanish so we can ask for it? I am not sure about Peru, but here in Bolivia, handspun wool goes by the Quechua name k’aytu. The Spanish name for wool “lana” is used to refer to the the store bought synthetics. I would have your friend ask for “lana hilada a mano para tejer en telar” (handspun wool for weaving). My understanding is that the wool is used plied, as it is here, so your friend should check that what she is being shown is in fact singles. Perfect! You know, if what they use is plied, then I’ll run with that. 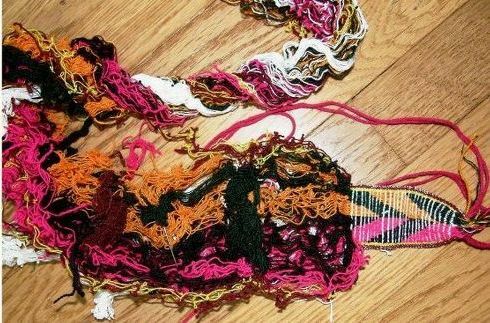 I did a second look at the piece I have that is so exquisite and fine, and it IS plied, just finer than my eyes can see easily. 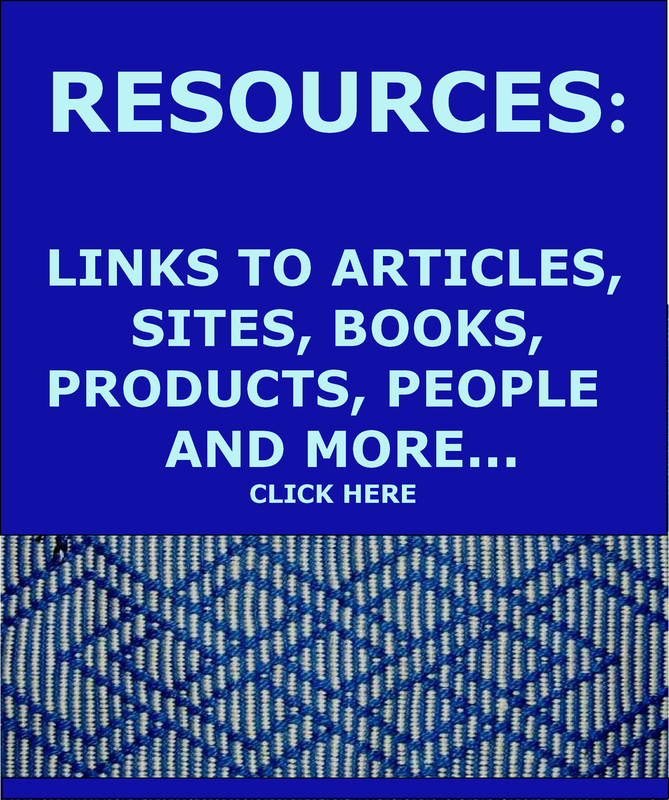 Every now and then I drop in on your blog to see your wonderful woven creations. Today I’ve seen the pics of your sample purses, they are just beautiful! I’ll stop nattering and ask my question, with the yarn that you have spun and used in your weavings, have you found that after washing that it has shrunk a lot? 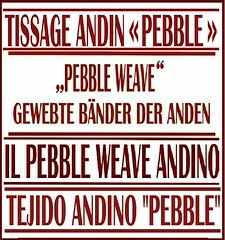 Or would it depend on the type of weaving you’d be using it for, for example, a plain weave would shrink more than a warp faced weave? 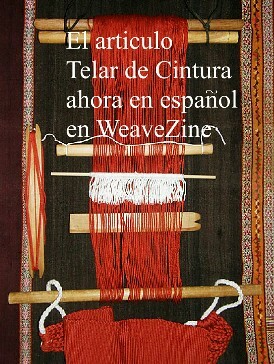 Thank you for the chance to read all about your travels and to learn more about the wonderful world of weaving. All my handspun (which isn’t much!) has been used for warp faced pieces like tool bags and shoulder bags and none have ever been washed so I am afraid that I can’t help you with that. Firstly thank you for your blog. I have wanted to try weaving since that kids loom kit way back when. But not until I discovered backstrap weaving and your site, was there any feasible way to attempt it. Maybe this is a silly question, but I was wondering if a website or a book or even attempting spinning late evenings (time that is mine!) would help. PS I am in Australia and have started weaving plain weave narrow bands using crochet yarn. I think nu 3.? Not sure of the brand. Hi and thanks for your comments. I am not sure what to advise about your wish to learn about yarn from scratch. 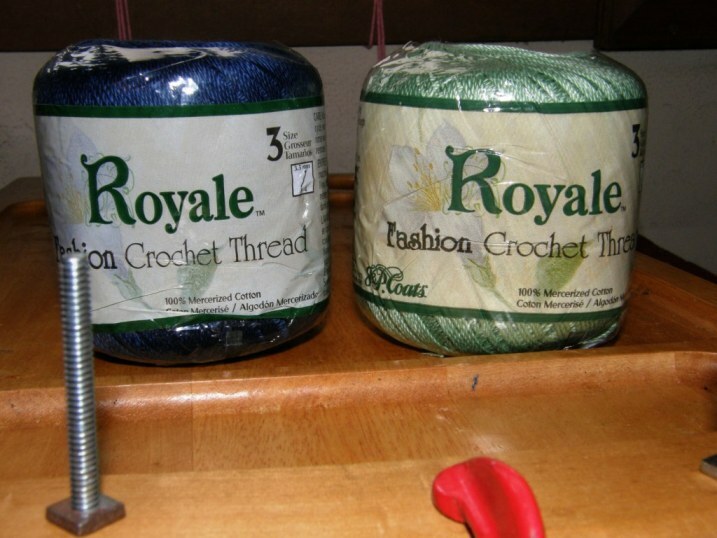 If you wish to understand just enough to be able to find suitable yarn for starting out in backstrap weaving, then I would simply ask your yarn store for mercerized crochet cotton, perle cotton…something with high twist. But, if you you really want to know all the ins and outs of yarn without having to actually buy and try the stuff, then I would suggest getting a good book to start with. I am sorry that I don’t know of one to recommend.I learned the little I know about different types of cotton by hanging out in the online fiber groups like Weavolution and Ravelry. There, you can ask all the questions you want in your own time. Ravelry also has load of spinning groups if you need advice about that. Thank you, that’s great advice – you’ve given me the questions to ask in store to get started, and a direction for learning more. I need help figuring out how many ends to warp for a finished band about 2.5 inches wide. Is it the WPI divided by 2 to get the finished size of an inch? I should have also said it’s for inkle weaving. I don’t use formulas. I always weave a sample with a new-to-me yarn. The width I achieve with ‘X” number of ends will vary significantly according to the structure I am using. 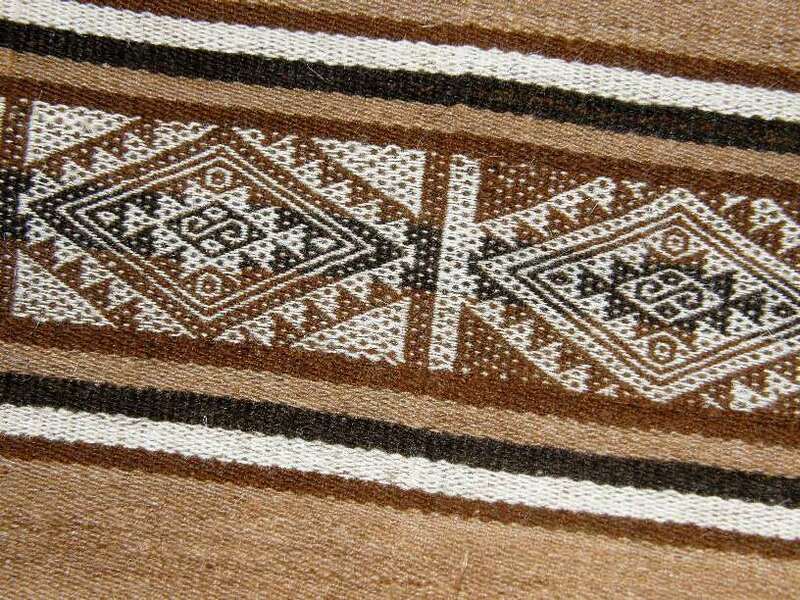 A plain weave warp-faced band with “X” number of ends will have a different width to one with simple warp floats on a striped background and different again to one done in pebble weave. If it is plain warp-faced weaving, the wpi can give you a rough estimate. For example I have a cotton thread that wraps 13 times to the inch. This one gives me an inch of woven width to 20 ends. I came up with that number from sampling. Another person might get something different. There are different degrees of “warp-faceed-ness”. Some people cram the warp theads very closely together. I don’t. Some people have them ever so slightly spaced. 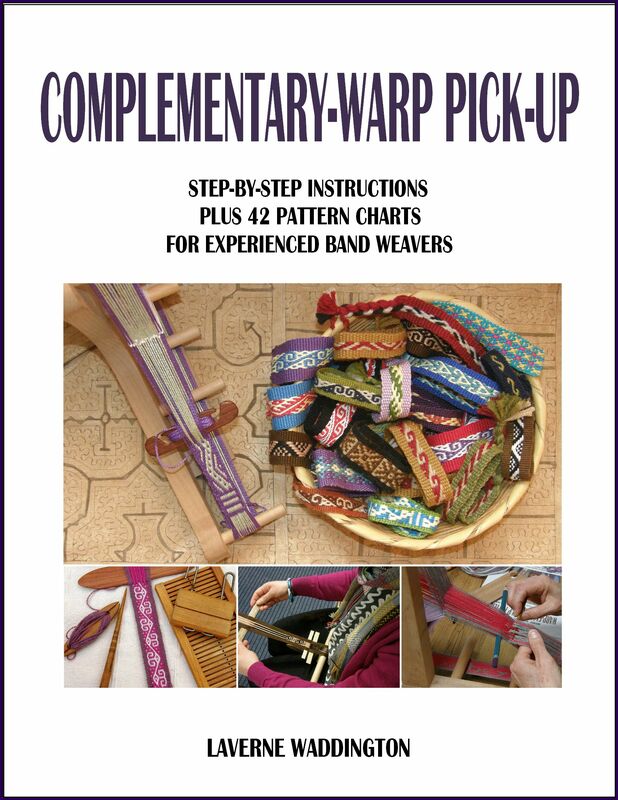 Ten people can weave on a warp with the same number of ends and create bands of different widths. If the project is important to you, I recommend weaving a sample that is long and wide enough to give you a good read of the width that YOU will achieve with that yarn. Your width may vary to start with but should eventually settle down and be consisent. Make your measurement from that and then plan your project accordingly. in searching for suitable yarns for this project i have found several cotton blends with Acrylic (50/50) that are either braided or have a tight wind. Would this be appropriate for the back band project? I bought some cotton/acrylic mixes in Australia to try. I have only used it for narrow bands and it works well. I imagine it would be okay for a backstrap project. I like the feel of it. You would never know that it had acrylic in it.